The skin under the eyes is considerably thinner than skin elsewhere on the body. Puffiness and dark circles in this area -- caused by lack of sleep, excessive drinking and even hereditary factors -- can age your face notably. Proper care can keep this skin looking smooth and youthful by reducing the damage. Without turning to the latest in chemical-laden skincare technology, a natural approach is quite effective in keeping such a delicate area looking its best. Remove makeup from your eyes gently. 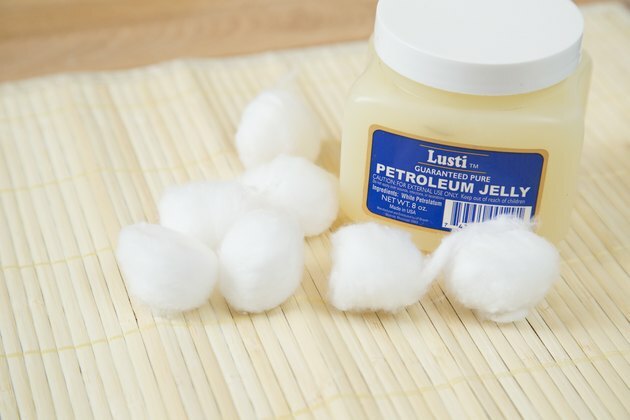 Use petroleum jelly instead of commercial makeup removers and a soft cloth or cotton ball. Wash your face with a mild soap and warm water. Hot water dries out the skin, so be sure that it's lukewarm to warm. Reduce puffiness and discoloration under the eyes by placing a cold compress over the area for 15 to 20 minutes to bring down swelling. 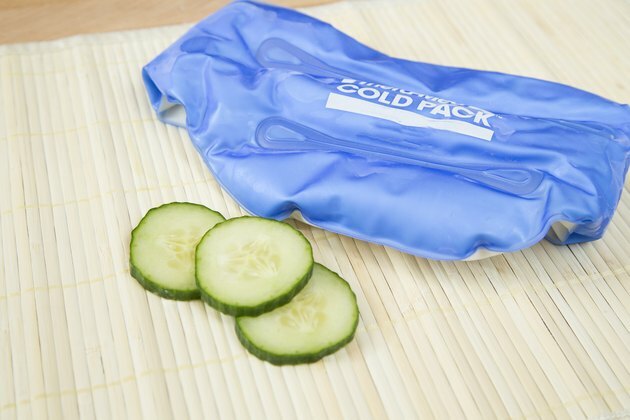 Cold cucumbers or a bag of frozen vegetables are effective substitutes for a cold compress. 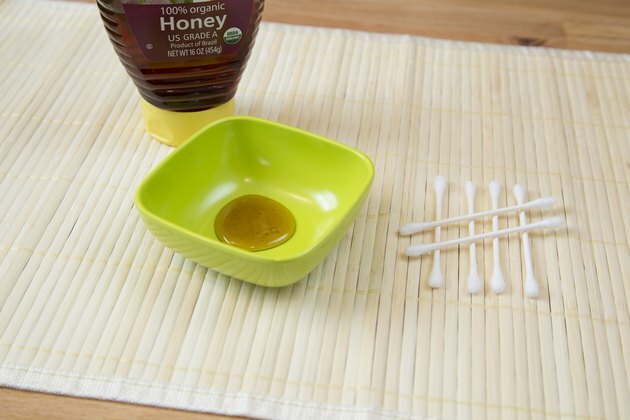 Apply raw, organic honey on the skin under your eyes, and let it to sit for 10 to 15 minutes before wiping it away gently with a warm, damp cloth. Use honey on your skin two to three times a week to help soften the skin and reduce visible lines and wrinkles. 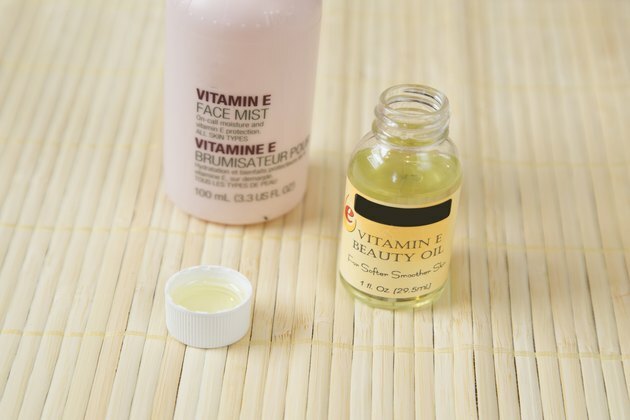 Apply vitamin E oils or cream under your eyes daily to keep the skin moisturized to help reduce fine lines and wrinkles. Vitamin E helps protect your skin from UV rays. Wear sunglasses to protect the skin under your eyes from the harsh sun. Eye bags often are the result of lack of sleep, excessive alcohol consumption and water retention. 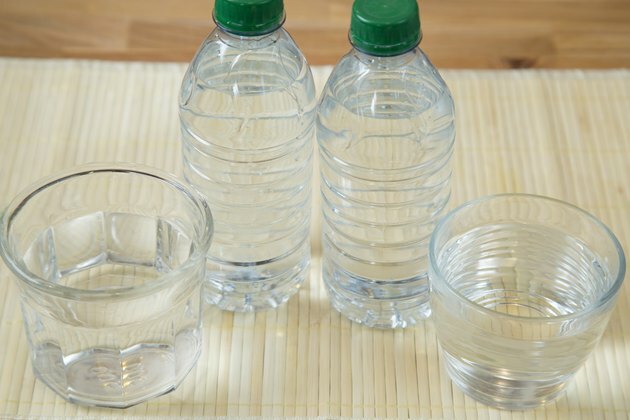 Stay hydrated to flush out toxins and salt, limit alcohol consumption and don’t skimp on the beauty sleep to avoid puffy eyes. Talk to your doctor about persistent dark circles and puffiness under the eyes to rule out any unknown medical complications. University of Southern Indiana: Eat Your Veggies. And Consider Wearing Them, Too. Can You Remove Age Spots With Tea Tree Oil?